Propeller PPK delivers 1/10ft (3cm) accuracy. Get the whitepaper to learn more. 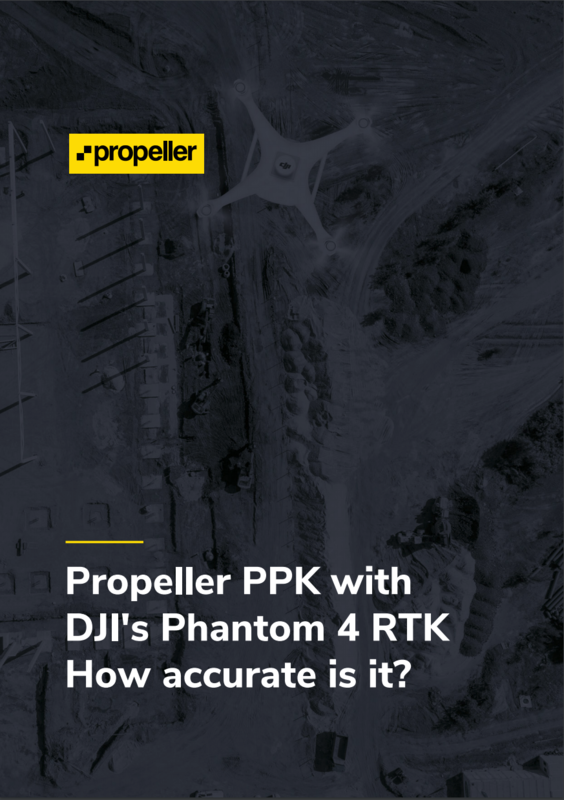 Propeller PPK with DJI's Phantom 4 RTK: How accurate is it? DJI’s Phantom 4 Pro (P4P) is the workhorse of the commercial drone industry. To get accurate, survey-grade maps from this drone previously, users needed to place 10-plus ground control points (like AeroPoints) on the ground to improve coarse GPS positions down to centimeter level. Propeller and DJI—and validated by experts at Trimble—claim centimeter-grade accuracies are now possible with just one ground control point. This is the first totally integrated PPK solution on the market. Download a full copy of the whitepaper to learn more about our testing methods and how our results support this level of drone mapping accuracy.